Whether your customers are families with pools in their backyards or five star hotels trying to keep their guests happy, they’re counting on your pool service business to be a resource they can trust. Pool service software is built to help your business reach that trusted resource status, which keeps customers coming back to you again and again throughout the life of their pool ownership. 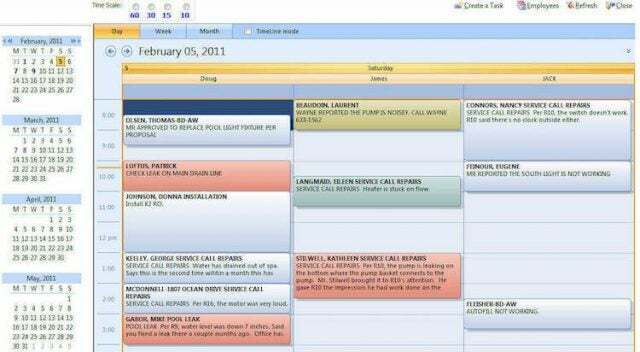 Deciding on which pool service software provider you want to use is no easy task. Fortunately, we’ve collected a few of the best pool service software providers that can help your business run swimmingly. 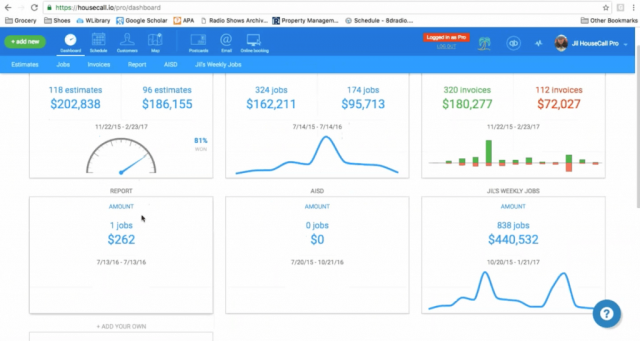 In addition to the standard field service features, HouseCall Pro also houses unique marketing tools that can help you attract new customers to your business. By facilitating a process for getting high value referrals, you’ll be prepared to make an impact on your pool service business in more ways than one. 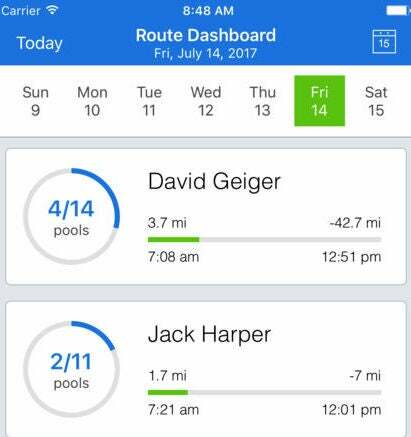 PoolTrac allows users to track 1,000 pools with its innovative software, giving access to 100 users, so your entire team will have access to this helpful service on both Android and iOS devices. However, without any financial options through the software, it can be hard to manage everything without adding an extra third party software to your lineup. FieldPulse will help you create comprehensive customer profiles so you’ll know exactly what your previous customers need when they come back for repeat business. The software even allows for customers to utilize e-Signature technology, so signing for orders in the field is easier than ever. As for unique features, PoolCarePRO makes communicating with customers easy with email updates and real time access to a customer portal. Compared to other services, PoolCarePRO isn’t nearly as robust, but it does offer the industry-specific expertise you need to get the job done right. 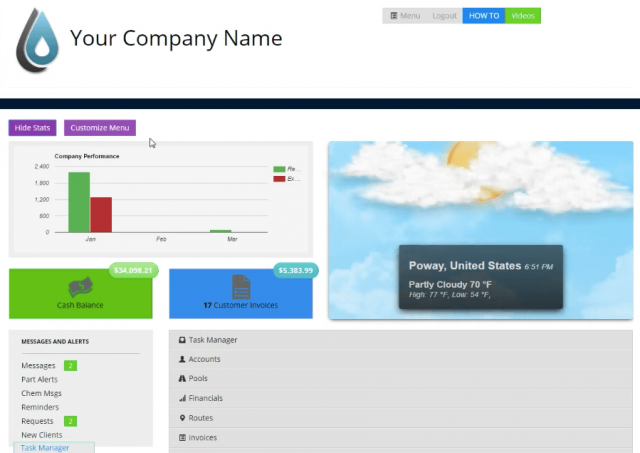 Jobber is one of the more popular pool service softwares out there. This can be attributed to the fact that Jobber is decidedly more affordable and easy to use compared to the others on this list. Use Tech.Co's free tool to compare Service Software prices and find the best deal. HyrdoScribe is easily one of the more robust pool-specific softwares out there, providing all the necessary bells and whistles while staying committed to your pool service needs. While their customer support options aren’t too thorough, the ease of use should make setting it up fairly simple. 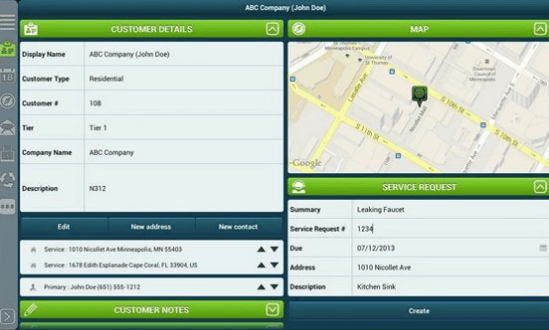 RazorSync is widely considered one of the easiest field service softwares to use on the market. That, combined with its undeniable affordability in the industry makes RazorSync a go-to pool service software for a large number of businesses. While Skimmer Pro provides a helpful level of pool-specific features, it has a few blind spots that make it less than ideal for larger businesses. For one, there are no payment options through the platform, which means you’ll have to find another way. 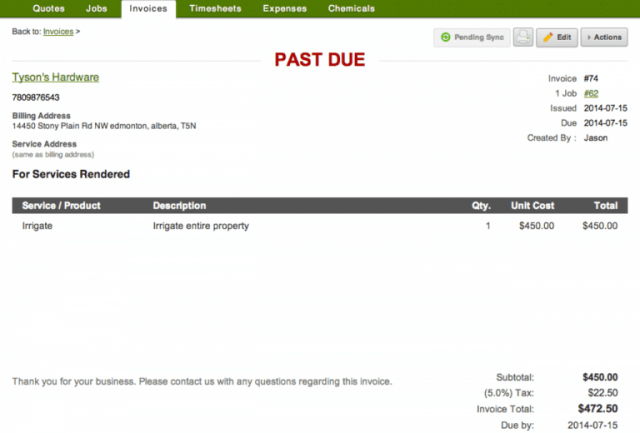 This leads into the second issue: the lack of Quickbooks integration. If you have another program for dealing with finances, by all means check out Skimmer Pro. But if you’re looking for an all-in-one software, it might be best to look elsewhere. Thanks to the dedicated customer portal, managing customer relations takes up less time and increases loyalty across the board. 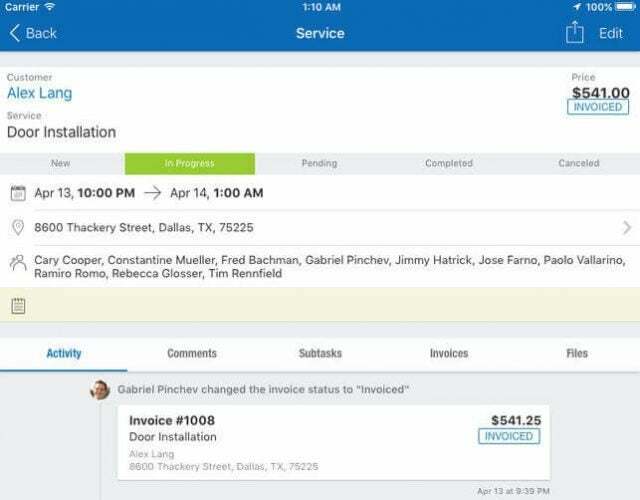 Plus, The Service Program is a verified Quickbooks add-on, so you’ll be able to enjoy simple invoicing and billing for customers and team members alike. 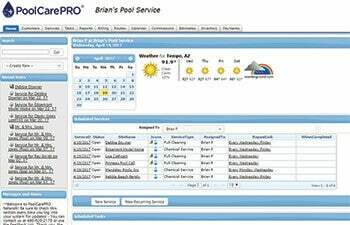 The best pool service software for you depends on a lot of things. From features to function, you’ll have your hands full trying to decide. And while understanding the primary feature and unique add-ons is important, we left out one very important factor: price. Fortunately, we can help you get a quote, personalized for your needs, to have a better understanding of which pool service software is right for your company.